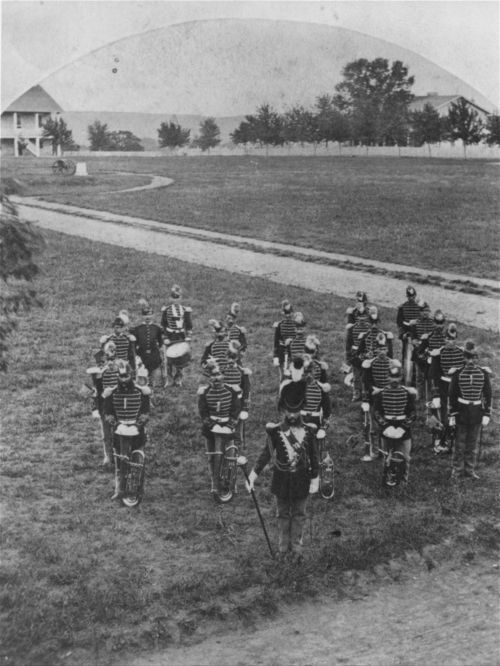 One side of a stereograph showing members of the Fort Riley Band on the parade grounds at Fort Riley, Kansas. A credible source suggests this is the 16th Infantry Regimental Band stationed at Fort Riley from 1887-1880. Copies of originals donated by the George Smith Public Library in Junction City, Kansas,1975.